Seton's Resticted Area Do Not Enter Signage are backed by our 100% Satisfaction Guarantee! Select from a wide variety of Resticted Area Do Not Enter Signage at competitive prices. Plus most of our top-quality Resticted Area Do Not Enter Signage are in stock and ready to ship today. Photo LOTO tags ensure that no employees except the one pictured removes the tag. No smoking signs remind both employees and visitors of facility there is a need to prohibit smoking due to the presence of flammable materials in the vicinity, or for health reasons. 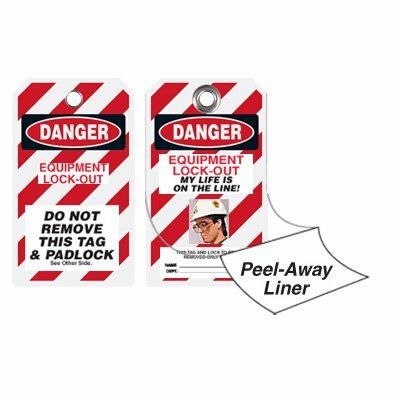 Featuring a self-adhesive clear overlay to securely seal the photo of your workers, our lockout tags with photos give your LOTO program greater impact.